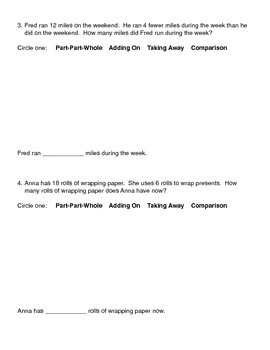 This worksheet has a total of 22 addition and subtraction word problems that involve using a bar model to help solve them. They are all one step problems where students need to identify which type of bar model will be helpful in solving the problem. Space is given for students to draw and show their work and then write their answer statement. 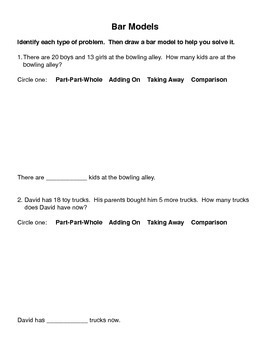 At the end of the worksheet is two open ended problems where students can make up their own word problem to solve.